Home > Respiratory Supplements > How Can Immune Building Supplements Help my Breathing? Having a healthy immune system is essential to fight off illness and stay healthy. But even if you are relatively healthy, most of us succumb to respiratory infections from time to time, whether we suffer from asthma, get a bout of bronchitis, or even if we just come down with a simple cold. Eating a healthy diet can help you stay in top form and fight off infection more easily, as can taking supplements that are specially formulated to help build up the immune system. Folate. Get folate from fortified cereals, dark, leafy greens and some other vegetables, or buy nutritional supplements of folate in powder form, folate is essential to repair and maintain healthy cells. Folic acid is also vital for women trying to conceive and up to the 12th week of pregnancy as it instrumental in stopping neural tube defects from forming in unborn babies. Pregnant women should take supplements as they require more than the amount normally found in food. Probiotics: You've seen the adverts, now buy the product. This natural bacteria, found in both the large and small intestine, helps keep the gut healthy and happy. Look for products containing probiotics in the chilled section of your supermarket. Vitamin C. If you don't want to take a health supplement, squeeze your own orange juice. Fresh orange juice is rich in vitamin C and full of natural fibre. If you must buy prepared juice, buy it with bits, not smooth. Garlic. Good old garlic has been used for centuries to help keep people healthy. Some people believe it helps clear the lungs and aid in breathing. You can buy it in liquid or capsule form as a health supplement if you cannot stand the taste; alternatively, add fresh chopped garlic to foods when cooking. Essential Fatty Acids. Help stimulate and protect the immune system and are anti-inflammatory. You can buy a supplement in liquid form or you can simply add extra olive or coconut oil to your food when cooking. Fish, shellfish and many seeds also provide a good source of EFAs. If you suffer from asthma, chances are a variety of triggers can set you off, including stress, household allergens and exercise. Asthma occurs when the bronchial tubes become partially obstructed, which in turn makes normal breathing difficult. You may be able to reduce the risk of an asthma attack by carrying out preventative measures, such as not smoking, reducing the number of allergens at home and keeping stress levels down. A diet rich in fresh veg and fruit can also help, and some nutritionists recommend eating one cooked onion daily. Taking supplements such as Vitamin C, magnesium, and vitamin B6 is also thought be useful, as is taking the antioxidants A, C, E and selenium. Additionally, some people believe that the gingko biloba herb can help. An acute lung infection, bronchitis can be caused by either bacteria or a virus and is characterised by breathlessness, wheezing, a cough that produces sputum and occasionally a high fever. Reduce the chances of coming down with bronchitis by not smoking and taking both vitamin C, which encourages healing, boosts the immune system and is a natural antihistamine, and zinc. We all get colds on occasion, caused by a number of different viruses. 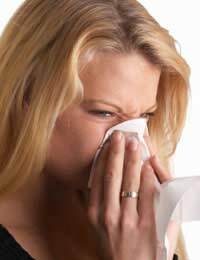 If you have a weakened immune system you are more susceptible to catching a cold, so keeping it strong is paramount. Zinc lozenges and vitamin C can help, as well as taking garlic and echinacea herbal supplements. The latter has been found in clinical studies to reduce the duration of a cold and stop them from developing, if taken from the early onset. Everyone gets ill from time to time, and unfortunately sometimes our breathing is affected. Stay on top of this and keep your immune system in top form by eating foods rich in vitamins and minerals that help keep you healthy. If you decide to take additional supplements, always consult your doctor first. Some health supplements can interact with prescribed medication and/or other supplements. Always read the label carefully and buy from a reputable outlet. I have COPD! I have not smoked since Oct. 3rd! My breathing seems Worse! I use my inhalers and do my nebulizer treatment every Day! Several times a Day! Does anyone have any suggestions for me to try so I can breathe a little Better? Alongside the article's suggestions, I can only direct you to the COPD Foundation site here which gives some lessons in breathing techniques and other topics to learn tips on how to live better with your COPD. I hope this helps.